The Pearl of the Vaudois Riviera enjoys a privileged location on the banks of Lake Léman. Its proximity to cities such as Geneva, Milan, Munich and Paris makes it culturally receptive and an ideal place to learn French. The heart of the town beats to the rhythm of major events such as the Montreux Jazz Festival in summer and the Christmas market in winter. The Vaude Riviera is also well known for its vineyards, its blend of lakeside and Alpine living and the sporting and cultural opportunities it affords. As a result of its experience in catering for adult students from Switzerland and abroad, ALPADIA Montreux is able to offer an impressive programme of short and long-term courses. The school has 12 light and airy classrooms, a media library with free Internet and wireless connection, a cafeteria and a terrace - a particularly pleasant feature in summer. 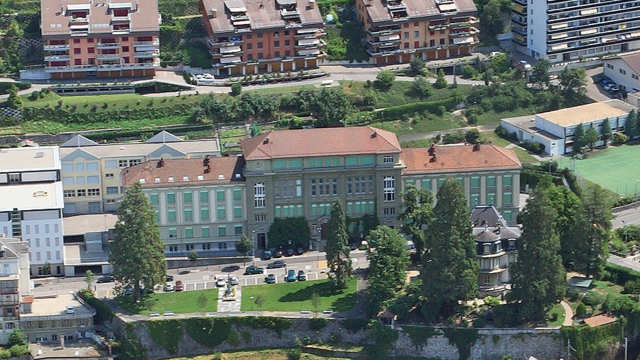 In addition, the school is ideally positioned on the banks of Lake Léman close to shopping centres, station, restaurants, banks and post office. Preparation for the DELF as well as for other internationally recognised exams (TCF, TEF) and special rates for long-term courses. Wide choice of accommodation (regularly visited, high quality host family accommodation, spacious, fully equipped student apartments, etc). Rich and varied extra-curricular programme. "I will remember this experience all my life; I have great memories from it. The teachers and staff of the school are exceptional. Not only did I learn French, I also made friends for life, who are like family now. Thank you for giving me this opportunity!"